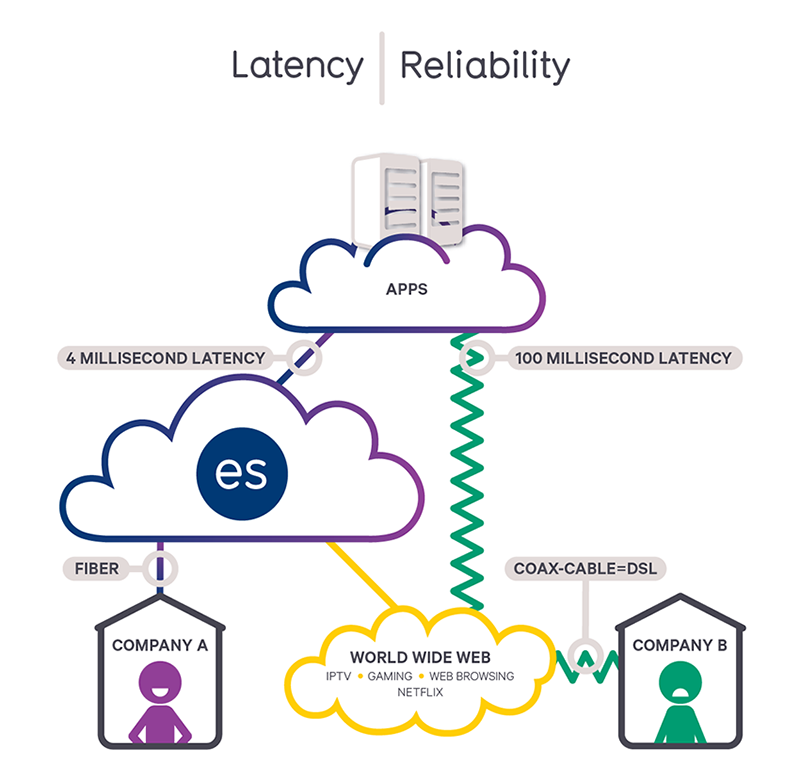 While service providers often talk about speed, latency is the most important element of a business’ data connection. By its simplest definition, latency is a delay that occurs while processing data over an online connection. Just 150 milliseconds of latency—a delay of less than 2 tenths of second—can result in poor network performance. In addition, jitter is any variation in latency regarding the distribution of data on a network, including packet loss and congestion. A fiber connection eliminates many of the latency issues users experience with a copper cable infrastructure. In terms of reliability, fiber is the optimal choice as well. Because fiber strands are made of plastic or glass instead of metal, a fiber network offers increased reliability, a reduced chance of interference or deterioration, and the ability to transfer more data. Moreover, fiber is not only the reliable choice for today; it is capable of scaling as your business grows. Fiber can typically be put in place in preparation for growth needs up to 20 years into the future, offering a dependable connection for years to come.